Are you going through the change? I was reminded in clinic this week just how powerful the effects of the menopause are on a woman’s mental and physical health. While it may be tempting to rush to the Dr for HRT, we must remind ourselves that this is a natural phase and like any phase it will pass. We can use some natural supports to help us take care of our beautiful bodies as they go through this change. The menstrual cycle can stop at different ages, but most commonly this occurs between 50 and 60 years of age. Although it is a natural process, there can be some horrible symptoms such as hot flushes, vaginal dryness, mood swings, depression and headaches. Many women feel like they are “losing their minds” and “going crazy” during this phase. Not only mentally but physically your body is effected. The ovaries produce less oestrogen and this accelerates bone loss and can increase the risk of osteoporosis. So you may feel weaker and more vulnerable during this time. 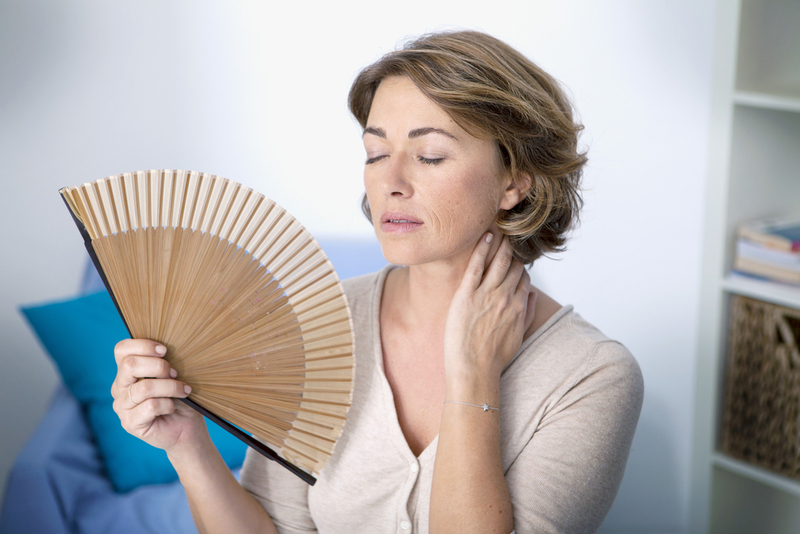 The menopause is referred to as the ‘Change’, and it is exactly that – your body is changing! Similar to puberty or pregnancy, this can be a time of confusion where you may lose a sense of who you are and may feel like you are having the proverbial ‘midlife crisis’. Gentleness and self care are needed as you move into a new chapter of your life. Hot flushes have been referred to as ‘power surges’, now is the time to claim your power. Flower essences can support you: Try the Bach flower WALNUT – For times of change. To help you move forward with ease. Or the Australian Bush Flower essence BOTTLEBRUSH – For being overwhelmed by major life changes. To embrace change and move on calmly. Glenda was 53 and had been plagued by hot flushes for five years. She had to sleep on a towel which she changed several times a night as it became soaked with sweat. 18 months previously her periods had stopped completely. She had tried HRT pills and patches but felt worse when using them. Glenda had put on weight and suffered extreme mood swings, made worse by her interrupted sleep. She had been unable to conceive children due to chronic endometriosis and had been offered a hysterectomy, but having seen her mother undergo this procedure at age 38, she was reluctant to do the same. When I tested Glenda’s hormonal energy it was surprisingly balanced! Her liver was the weak energy, related to anger about her body. Glenda said she was angry with her body for not being able to have children and she began to sob. I asked her to massage her liver neurolymphatic points every evening and to wear the colour orange to balance her sacral chakra. Geranium oil in the bath would help Glenda feel more feminine and increase her focus on self care. I asked her to stroke her body as she bathed in the Geranium oil and forgive it for being unable to conceive. Her body also wanted to wear a Moonstone crystal, which Glenda was excited to pick out at a local crystal supplier. For more tips on how to deal with the menopause naturally and other common conditions please see my book Your Body Has The Answer.